My mother-in-law was in Westport Place. It was a nice facility with nursing care around the clock and nice rooms. Every second Sunday of the month, they have a brunch for the family, and my mother-in-law enjoyed it so much. They had wine and cheese on Fridays, and they would take residents out to various places, like doctor's appointments. The food was average. My mother is in Westport Place for her rehab. It is a very nice place. It is a smaller community, and they take good care of Mom. My mom likes the food, and that's a good thing. They have activities, but I do not know how much my mom has been involved with them because she spends several days of the week in the hospital as well. She is not as active and mobile as she likes to be because she has a pacemaker and several other health issues. The nursing staff does a good job when Mom has an issue there. It's been over 60 days since my mother has been in Westport Place, and it was a very good experience. They took care of her very well. The rooms were very nice, and they were single rooms. The staff were very good, and they took care of her needs. She raved about the food. She didn't have the ability to go to most of the activities, but they had a lot. They had luau, they play cards, and they have crafts. They just need to improve on some of their nursing staff. I have placed my wife at Westport, and we are pretty happy with it right now. It is close to where we live, and it would be easy for me to see my wife and bring her home if I want to. I am happy with the services, and I feel good with the staff. The place is superior and new. She tries to participate in everything that they have. They go out to restaurants, have movies, play bingo, and play other games, and she wishes that they had more, but they do a nice job about that. My wife is OK to live in assisted living, but she has some condition in which she cannot use her legs. She can’t get in and out of bed herself. She basically needs a 24hr a day attendant for things like going to the bathroom and going to bed. 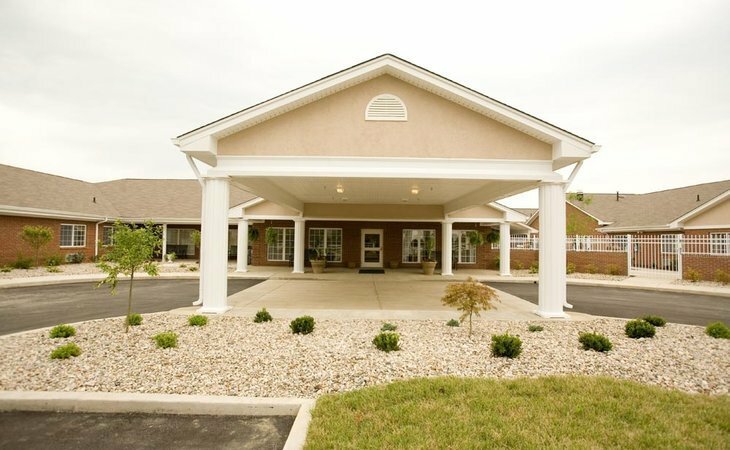 Located in the St. Matthews neighborhood of Louisville, Kentucky, Westport Place Health Campus is in the perfect position to offer activities and opportunities for residents with a variety of interests. From frequent outings to local restaurants, to shopping excursions at the two nearby malls, or afternoons spent at Seneca Park, there are boundless opportunities for residents to enjoy the surrounding community. For those that stay on our campus grounds, our Life Enrichment Team ensures that there are a variety of fun and exciting ways to stay active and engaged, every day. We know that selecting the right healthcare option to meet your individual needs is important. That’s why with Westport Place Health Campus you’ll find and complete continuum of care and services so you can select the level of care that most closely matches your needs and preferences. Care and support services are carefully coordinated from level to level, setting to setting, as care needs increase or decrease. From personal care services in our elegant residential facility to skilled nursing and transitional care services in our state-of-the-art health center, our staff of dedicated professionals provides compassionate care with attention to every detail. Whether for a few days, a few weeks or for as long as you need us…It’s comforting to know that there is a source in Louisville you can turn to for help and guidance. Thank you for your interest at Westport Place Health Campus. Please give us a call to schedule a free tour. What should caregivers and potential residents know about Westport Place Health Campus?